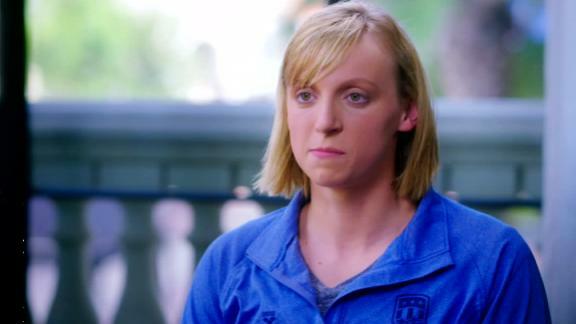 U.S. Olympic swimmer Katie Ledecky talks to Hannah Storm about how she got started swimming, how she set goals for herself when she was young and how the swimmer's mindset is to improve on your personal best. 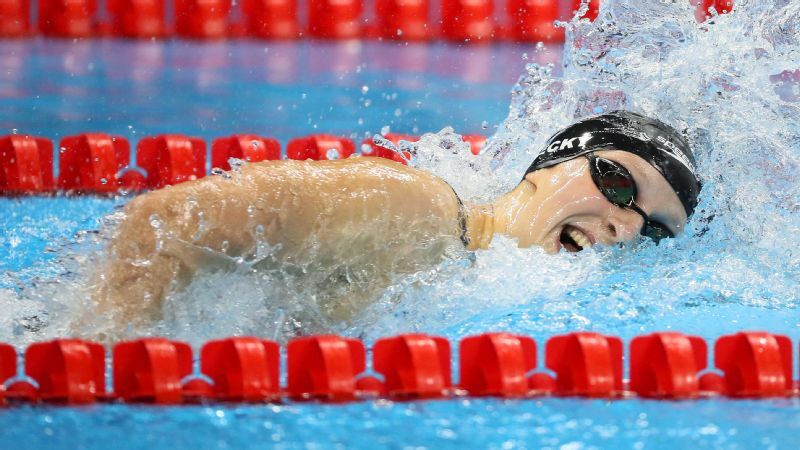 Katie Ledecky's Olympic Games are off to a flying start: The 19-year-old swimmer took gold in her first individual event Sunday night. And she didn't just win -- she blew her competition out of the water, finishing with a nearly 5-second lead and breaking her own world record in the 400-meter freestyle. What makes Katie Ledecky so remarkable? So, what are those circles on Michael Phelps' body? By holding world records in the 400, 800 and 1500 freestyle, Ledecky's dominance continues to be astounding. During Sunday night's broadcast, as Ledecky quickly pulled ahead of the pack, NBC's Rowdy Gaines proclaimed: "A lot of people say she swims like a man. 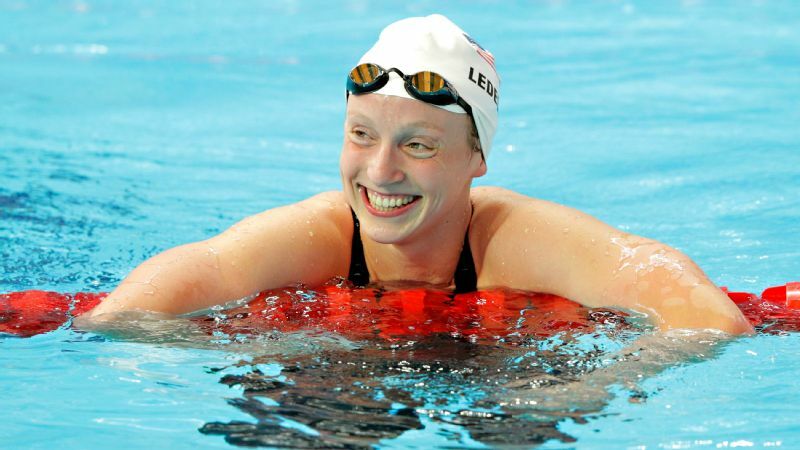 She doesn't swim like a man -- she swims like Katie Ledecky." Indeed, the tendency to compare women athletes to men seems to arise no matter what, in an attempt to contextualize female athletic achievement in the male terms we understand as default. "This girl is doing respectable times for guys," 11-time Olympic medalist Ryan Lochte told USA Today. Olympic silver medalist Connor Jaeger took the comparison beyond her impressive times. "Her stroke is like a man's stroke," he told the Washington Post. "I mean that in a positive way. She swims like a man." The result was a stroke with a "hitch" or "gallop," where the left arm glides slightly longer atop the water than the right, a motion that [Michael] Phelps and others say looks like a man's stroke. It worked because Ledecky had a sense of timing so refined she knew how much longer to keep her left arm gliding and when to move her hips to get the full stroke and to avoid drag after finishing the breathing phase. And yet, it's easy to see why many on social media reacted strongly to the idea of comparing Ledecky to a man in the first place. Ledecky uses a stroke traditionally ascribed to men, but there's nothing about the skills required to employ that stroke that are uniquely male. Strength and timing can be acquired, and history has shown us that both improved training and increased access to sports helps close the gap between men and women athletes. This is demonstrably true in swimming. In 2012, the Atlantic's Robinson Meyer found that women's world-record times in the 100 free have improved at a greater pace than the men's times since 1905. Interestingly, he also compared men's and women's world records across events and found that women come closest to men in longer races, particularly the 1500. That's noteworthy with regard to Ledecky because, while she holds the world record in the 1500 free, she won't have the chance to swim the event in Rio. The women's mile is glaringly absent from the Olympic program, which has featured the men's 1500 since 1908. The reasons are vague and unconvincing -- everything from a lack of global reach to a dearth of public interest. But while the 1500 requires more patience from viewers than shorter races with more immediate excitement, there's no explanation for why that same reasoning isn't applied to the men -- nor why it also doesn't hold true for the 10K open-water swim, which was introduced to the Olympics for both men and women in 2008. As for the global nature of the women's mile, since the 1500 was added to the FINA world championship program in 2001, the event has hailed medalists from 11 different countries. Strong female athletes will continue to innovate and evolve their events in terms of women's sports, not men's, even if and when that means competing on the same level. Having men swim a 1500 while the women swim an 800 harkens back to a time of immense resistance to all women's events, particularly those endurance sports thought to be too physically strenuous for "delicate" female bodies. And while that might not be the intention, it's not happening in a vacuum. It's happening in a sports climate that tells women tennis players they can't play five sets, that belittles women's basketball and soccer players for hypothetically not being able to compete with the men, that delegitimizes women's sports entirely when athletes like Serena Williams or the UConn basketball team are deemed "too dominant" -- dominance for which Ledecky receives praise when it's framed in men's terms. It's a vestige of still seeing sports as inherently male space, and of mostly male fans and commentators unable or unwilling to consider female athletes by their merits alone. Forgetting that half of sports fans are women, the narrative takes shape around terms to which the prototypical men's fan can relate. But when women are derided when they're not as strong or fast as the men, yet simultaneously scorned when they dominate other women, we miss the point of women's sports entirely. We miss the fact that playing "like a girl" means something entirely different today than it meant 50 years ago. 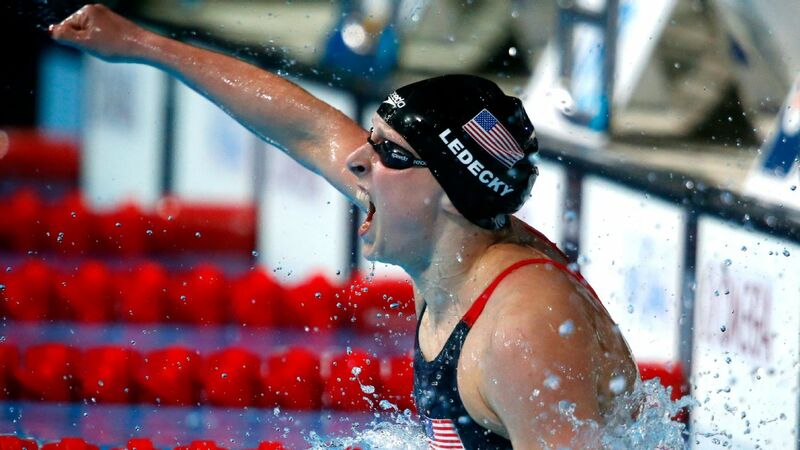 It's important to remember that Ledecky, who is going for a medal Tuesday night in the 200 freestyle, doesn't "swim like a man" -- she swims like Katie Ledecky. Mo'ne Davis indeed does "throw my curveball like Clayton Kershaw and my fastball like Mo'ne Davis." There isn't a ceiling on women's athletic achievement, and strong female athletes will continue to innovate and evolve their events in terms of women's sports, not men's, even if and when that means competing on the same level. Regardless of comparison, women's sports need to be celebrated and enjoyed on their own merits -- by men and women alike. Whether you watched Michael Jordan as a Knicks fan, Mariano Rivera as a Red Sox fan or Nadia Comaneci as an American, you were still watching greatness, even if you were on the other team. So savor the moments you get to watch Ledecky and Williams and Simone Biles. 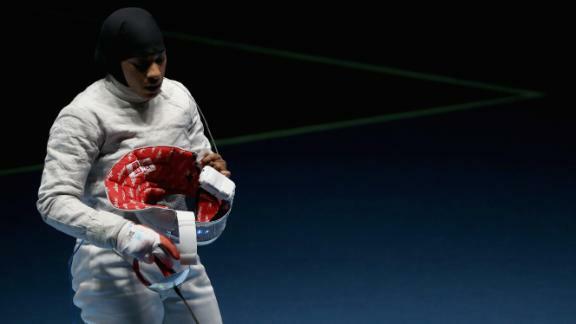 They're not redirecting female athletes into a supposedly superior, male space. They're reframing women's sports in terms of potential.